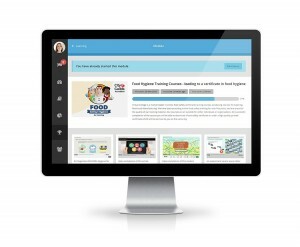 Our Enable LMS Review – ‘The User’s Learning Management System‘. At Learning Light we have long viewed the Enable LMS from Virtual College to be one of the most evolved learning management systems in the UK market and beyond. 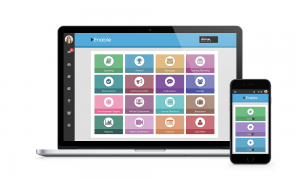 Enable is a well-established LMS, and its first version has always been feature-rich and functionally excellent, enabling learners to learn effectively, and organisations to manage training and learning and development. Over the past few years, Virtual College has completely re-designed Enable in order to create a new, modern LMS. 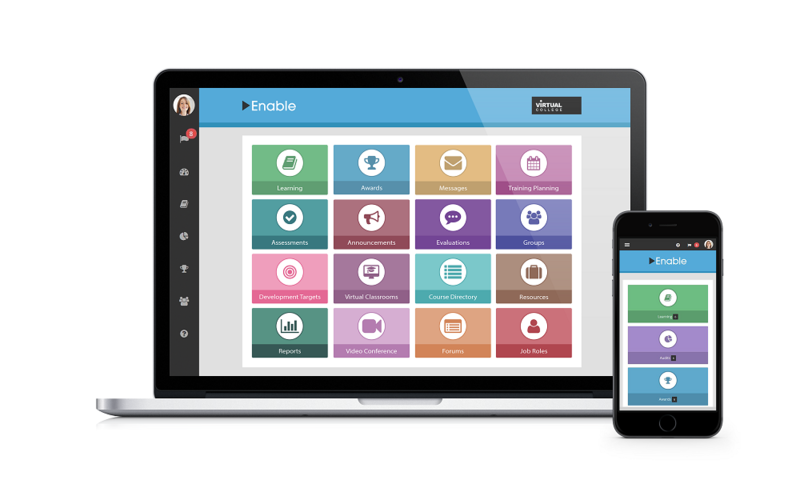 Enable v.2 builds upon the past success of Enable v.1, and the result is a stand-out learning management system which provides users with an experience that is both functionally and experientially outstanding. As a student of Human Computer Interaction I have long held an interest in what is now referred to as the user experience (UX), or user interface (UI), in learning and from this perspective the new Enable is very impressive indeed. 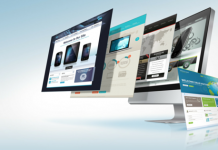 User Experience refers to two key in an LMS: appearance and usability. These two features can certainly be broken down in to more specific categories, but appearance and usability are the two features which define the LMS experience for most users. We have seen learning management systems become increasingly function and feature-rich but many continue to struggle with User Experience. Virtual College has addressed this issue with an attractive and simple design, coupled with intuitive navigation and layout, to provide an excellent user experience in addition to the already comprehensive feature-set. Virtual College made a brave statement at Learning Technologies 2016 in launching and demonstrating their ‘third generation’ LMS and I took the opportunity to get a look at their new LMS on their very busy stand. Since then I have had comprehensive access to the LMS and spent many hours exploring and testing the platform. The most striking feature of Enable is its appearance, particularly in comparison to Enable v.1. It is beautifully presented, with colourful tiles providing a simple and elegant aesthetic. The simplicity of aesthetic design echoes its simplicity of use, but more on that later. Enable’s new User Experience amounts to more than an appealing aesthetic. Virtual College has redesigned the navigation and interaction of Enable to provide an experience that is intuitive and accessible for both users and those un-sung heroes of so many organisations – the LMS administrator. By using some simple yet extremely effective techniques, such as always situating ‘action’ buttons on the top-right of the display, using an arrow symbol to show that an area is clickable, and always displaying the menu on the left-hand side of the screen, Virtual College has made Enable very easy to use. These features provide continuity and familiarity to a system that is diverse and vast, due to its depth of features, by providing continuity of navigation: the actions required to navigate through one area are the same actions required to continue through the next. This means that a user who can navigate one area of Enable can navigate through any other area, and a user who can use one feature of Enable can quickly learn to use the others. Ease of navigation means that Enable is very accessible and easy to pick up for a new user. 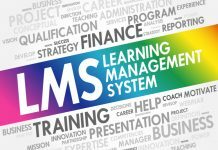 Ease of usability is a great advantage in the LMS market as so many available require extensive training and demonstration, and usability difficulties can often lead to learner disengagement, and prohibit learning taking place. The presentation of Enable also adds to the User Experience. Screens are presented with a high level of consistency, and when paired with easy accessibility, this gives learners an effective engagement environment designed to focus learner attention on the learning. Colours and metaphors used have obviously been considered in great detail to build the overall user experience. The design is fully mobile-enabled, again with very careful attention to navigational and presentational details. The tactile experience of tablet-based usage is very well catered for and reflected in the absolute attention to design detail as well as screen resolution and colour choice. A learner journey from login to course commencement is always an important metric to consider when looking at an LMS, as the ultimate function of an LMS is to deliver effective learning. Due to the exceptional UX, Enable has an extremely smooth learner journey with no unnecessary distractions from login to learning. Enable uses the term “ultimate learning journey system” and this can take place when UX and robust features work perfectly together. But how do you keep the feature richness and combine it with a simple but effective user interface, whilst still providing a smooth learner journey? Enable already has a rich set of features due to the evolved nature of version 1, and as we have seen they now have a great UX. The way they marry these two provisions is through attention to design detail: Virtual College proudly tells us that they have been listening to the feedback of over 2 million learners. There can be no doubt that listening to users has been a key part of perfecting the learner journey, and that it will be so in the development pathway going forward. The commitment to the learner experience is very strong and a clear commitment to communications is built into this LMS, giving it a nice Social Learning feel as well as offering announcements and peer to peer communications. It is important to note that the administrators or tutors using the LMS retain a good level of control as to how the communications are used. Social Learning is great and many LMSs have had some success but the dynamic and the organisational culture must be considered when unleashing the potential of Social Media within the organisation. A small criticism is forums and chat need to be improved in definition and it must become more apparent to us how they integrate with groups and courses in the overall architecture. The Groups feature is also very striking in the new Enable LMS. Too many learning management systems have been hamstrung by roles and limited hierarchies and have had to bend and twist to meet the day to day requirements of business (which is not education). The Group feature is a game changer in how hierarchies and privileges in the LMS are created. Groups are not new for learners. But applying the design features or groups to administrators has allowed the new Enable LMS huge flexibility to model a reporting and learner management eco-system that will reflect an organisation. It is good to see that a Virtual Classroom is planned to be integrated into the new Enable. 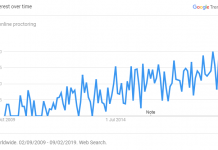 We anticipate a strong growth trajectory using Virtual Classrooms in many organisations as the technology has now matured and the engagement barriers are coming down, thanks principally to Go to Meeting, Skype and FaceTime etc. The evolved nature of Virtual College’s Enable v.1 has been in its alignment to organisational needs such as competencies and assessments as well as huge attention to auditing and reporting. The brand new Enable LMS has certainly built on the power of the previous iteration and added some very nice features to this, especially the Development Targets feature which covers learning and personal development allowing a form of ongoing appraisal with dynamic reporting. This is already aligned to awards, but as yet no gamification or next generation rewards. Virtual College obviously have a very comprehensive development pathway based on their customer’s requirements rather than evaluator’s comments, so we will have to wait and see what comes next. Powerful reporting and customisation are key to getting value and aligning learning to organisational strategy and the ease that customised reports can be created is very impressive indeed. Reports can be handled in Excel (not CSV files) and can be intuitively created, shared and exported. The reports can be added to personal dashboards. Another powerful feature is the ability to schedule reporting for automatic creation – not new in itself, but useful in that the opportunity to schedule customised reporting quickly and easily is very neat. Enable comes with a fully-functioning course builder which you can use to aggregate SCORM content, documents, video, tests and certificates. This content aggregation provision is not unique to Enable, but what is unique is how easy it is to use. 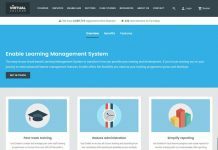 Here at Learning Light we have reviewed plenty of learning management systems, and what we often see is a great selection of features let down by extremely complex usability issues. 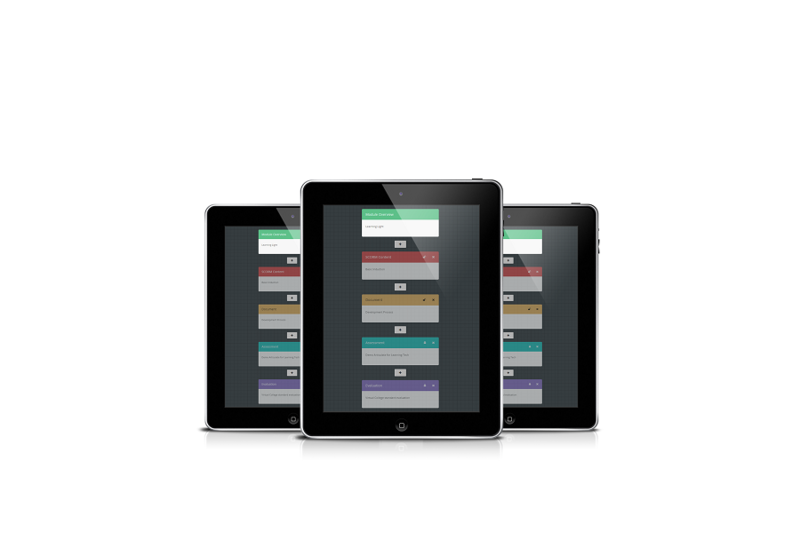 However, Enable leverages the simplicity of its UX and presentation to provide an intuitive course builder. Content can be simply pulled-in from your own computer, a website, or from a shared upload area in Enable. You are then presented with a logical structure which enables you to organise all of this content in a way that makes sense. This really is very good and so easy to use. This content creation structure reminds me of alt+tab in Windows. 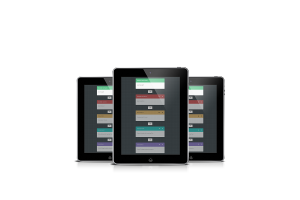 The tiled approach and colour-coordination syncs nicely with the rest of the LMS and make the tool easy to use. Integrations with HR and CRM systems as well as a commitment to xAPI would be on our development list. We mentioned gamification and rewards as well and we are sure these will come. But with the views of 2 million learners and an organisation that offers first line learner support to its users, there is no doubt that they listen very closely to what is needed and have exciting development plans. 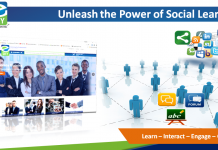 Virtual College has really set a new standard in learning management systems with this latest version of Enable. It is not an upgrade or re-skin, it has been a development with intense attention to detail to deliver a market leading user interface and user experience to make the learning experience as engaging and effective as possible. Find out more about Enable.